Krav Maga Civilian Instructor since 2012. I started my journey in Krav Maga back in 2009 when I was looking for a workout to lose weight and gain general fitness. I did not want to just join a conventional gym and do conventional workouts as I found them to be too boring. 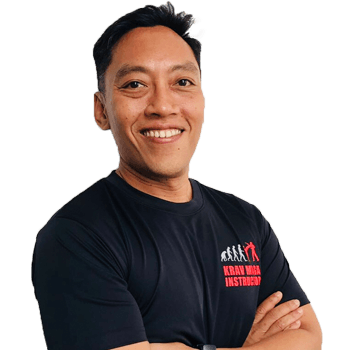 Krav Maga was my choice as it not only a provided me with challenging high intensity workouts but also the opportunity to learn a new valuable life skill – effective, easy to learn self defense skills regardless of fitness levels and most importantly instilled the most important mindset in life . Never give up! I became a certified civilian instructor in 2012 and enjoyed every single opportunity to share and impart the knowledge and experience to students, friends and family and hope they will gain as much benefit as I have in this ongoing journey in Krav Maga.